Worldwide, Nobu hotels and restaurants respected chef Nobu Matsuhisa are trendy celebrity hangouts in which to see and be seen. 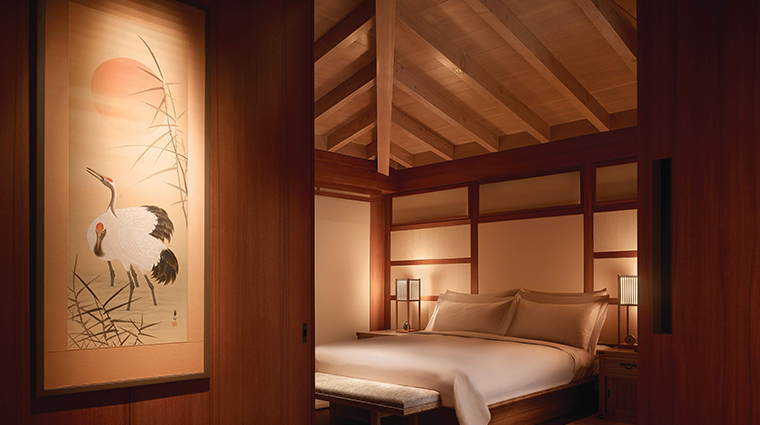 However, the world’s first Nobu Ryokan — based off a traditional Japanese-style inn — is the complete opposite: a hideaway, rather a place not to be seen. With only 16 rooms and tucked away from the outside world, it’s an oceanside escape dedicated to the art of unwinding. 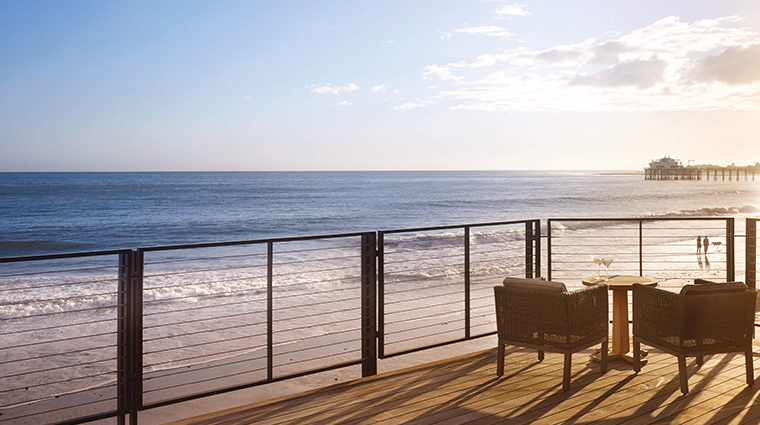 Located in the heart of Malibu on Billionaire’s Beach (officially known as Carbon Beach), Nobu Ryokan Malibu is fashioned completely of teak with rooms that are decorated in Japanese-meets-California chic sensibilities. Spearheaded by Nobu founders actor Robert De Niro and chef Matsuhisa, the new ultra-exclusive concept has already earned a reputation among jetsetters and tastemakers from coast to coast. 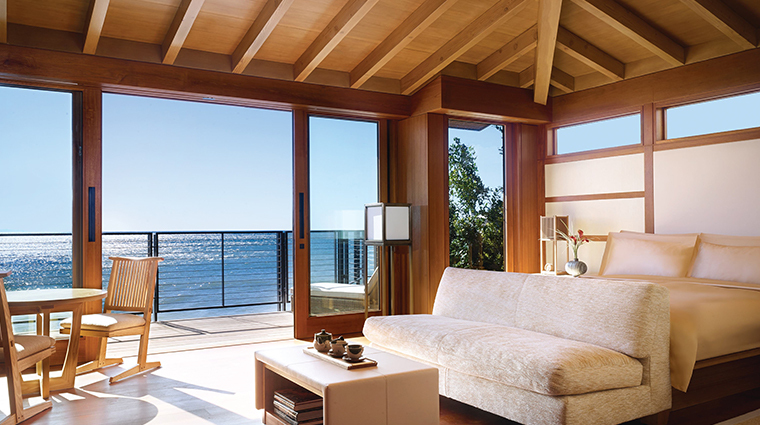 With a guests-only lobby and parking lot, Nobu’s only traditional Japanese property is secluded. And even when all 16 rooms are at capacity, you rarely see any other guests — most spend their time relaxing in the rooms or at the beach. Wouldn’t it be nice if personal genies really existed? Well, at Nobu Ryokan they practically do. With a three-to-one staff-to-guest ratio, the hotel grants your every wish. 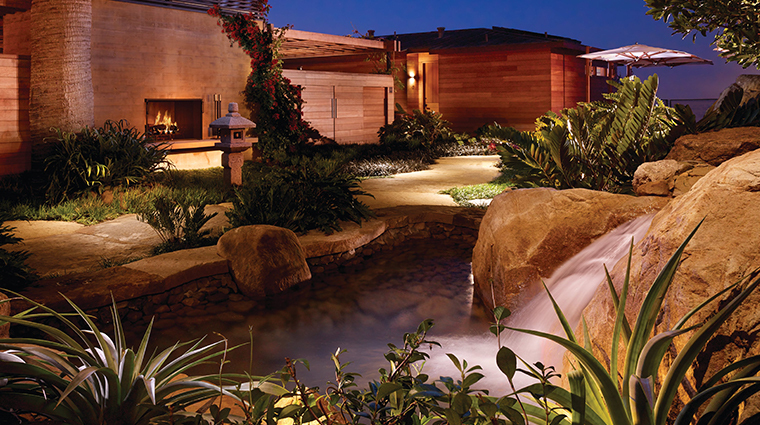 Nobu Ryokan is one of a few luxury hotels in Southern California right on the water. Simply step onto your private patio to savor the sounds of the crashing waves. 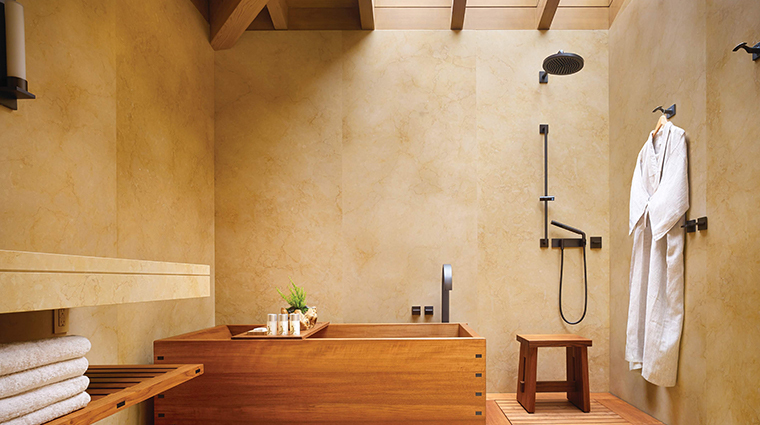 If you enjoy a relaxing soak, take advantage of the Japanese bathing ritual setup available in most rooms: the open shower before and after bath, a gorgeous teak soaking tub, natural toiletries curated by The Detox Market, and then your choice of robe — either a Loro Piana cashmere or linen yukata kimono. The grounds — with a sundeck overlooking the ocean, a Zen rock fountain, stone pathways and quilt-like landscaping using local flora like black sea grass — have a calming effect. 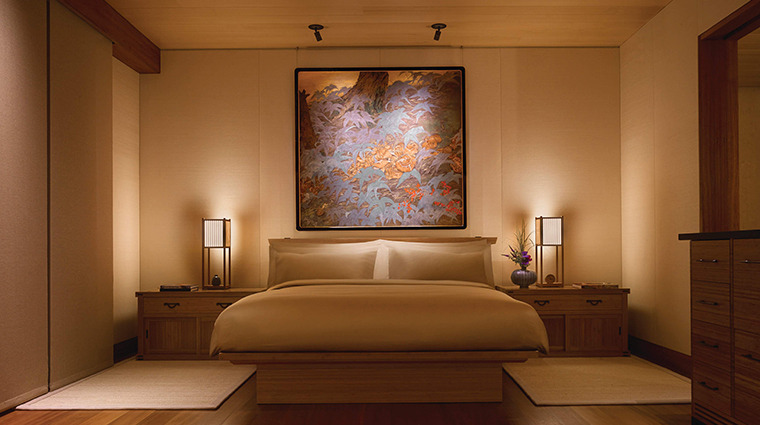 Nobu Ryokan has quickly gained a reputation as an exclusive retreat among CEOs, celebrities and tastemakers on both coasts. It’s best to reserve at least two months in advance, especially if you want a specific room for a special occasion. 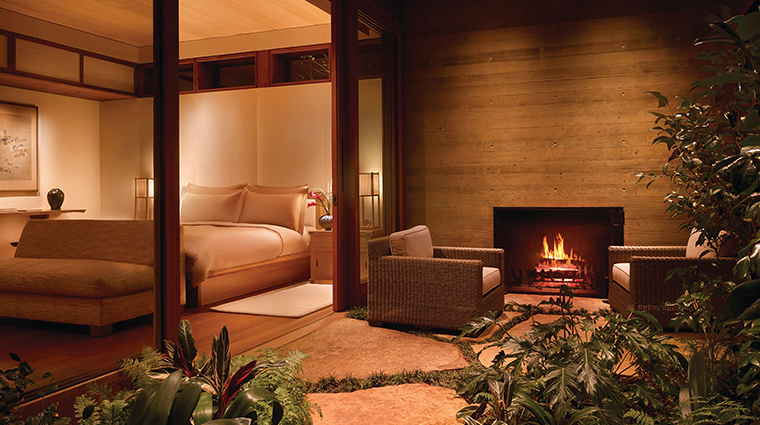 Due to the romantic views and adults-only policy (guests must be 18 or older), Nobu Ryokan is a hot spot for engagement proposals, anniversaries, babymoons, honeymoons and entire wedding buyouts. The most requested accommodation is affectionately known as the “rockstar room” or by its official name: Horizon (Suiheisen). It’s the sole corner room and, more importantly, the only one with an outdoor teak soaking tub. 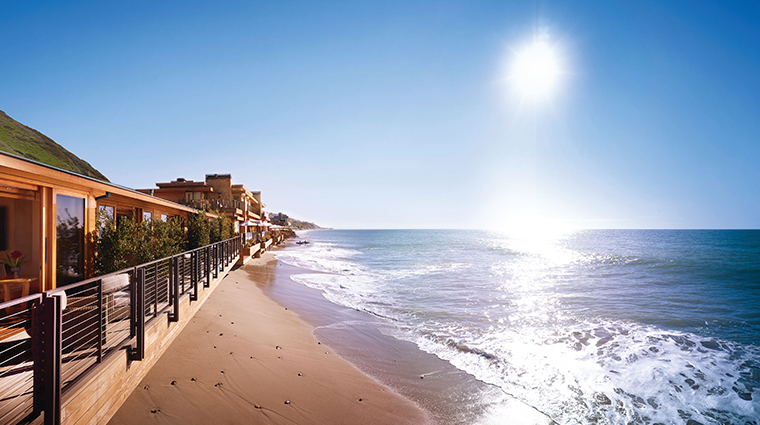 Partnering with members-only private jet company SurfAir, the Malibu hotel can arrange flights to Southern California cities for guests — no membership needed. There are no restaurants or bars onsite, but all food and drink — available through 24-hour room service — is provided by Nobu Malibu. Outfitted by the prestigious hospitality design firm TAL Studio, rooms exude a harmonious balance between Japanese minimalism and a warm, California casual vibe. 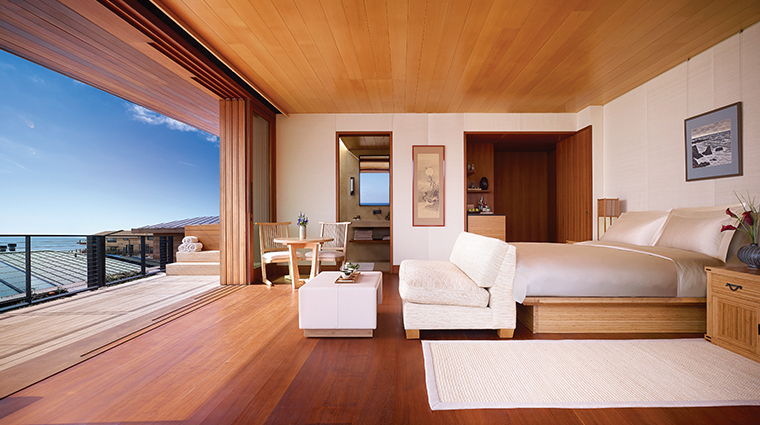 Each room is decked out in floor-to-ceiling teak with neutral-toned furnishings and fabrics. Luxurious yet minimalist touches include 800-count linen sheets by Anichini, Japanese art and fresh ikebana floral arrangements. Each of the L.A. hotel’s 16 rooms was personally named (accommodations aren’t numbered here) by De Niro and Matsuhisa. Specific rooms aren’t listed on the website — when you book, staff can help you choose one based on your preferences. If you never want to leave your room (or your bed for that matter), don’t. Everything is at your fingertips, even room service, via a state-of-the-art iPad system. When you start to feel peckish, crack open the mini-bar — non-alcoholic drinks and Dean & DeLuca snacks are complimentary. If you like getting outdoors during your stay, simply ask the concierge to arrange lounge chairs and towels to be set out on Carbon Beach, a Malibu hiking guide to take you on a trail suited to your fitness level or a surf lesson by a friendly local instructor. 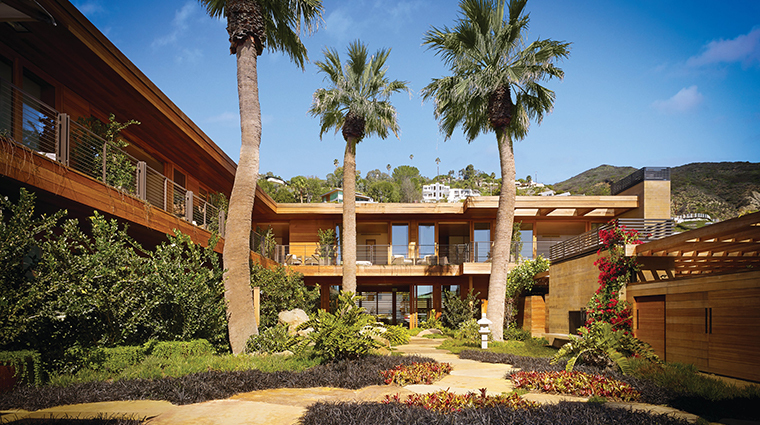 In addition to its unique waterfront location, Nobu Ryokan is also near Malibu wineries, the Malibu Pier and plenty of great hiking trails. The luxury hotel is less than an hour’s drive from the myriad attractions and world-class restaurants of Hollywood and downtown Los Angeles, and just half an hour from the famed Santa Monica Pier. The scenery along the Pacific Coast Highway alone is worth the trip. 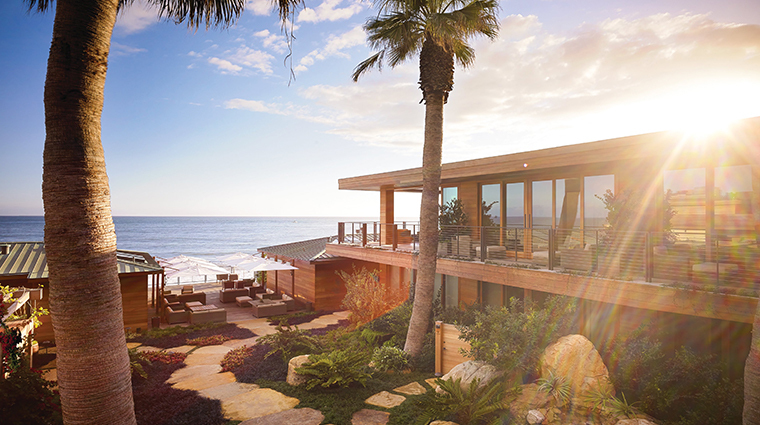 Two doors down from the hotel, Nobu Malibu is one of L.A.’s most difficult reservations to nab at any time of the day or night — but not if you’re staying at Nobu Ryokan. It’s best to reserve ahead, but the concierge can usually accommodate a last-minute request.